If you have an older car without a Bluetooth connection or without an auxiliary input, it’s easy to spend a lot of money getting it up to snuff. You can easily blow a grand having a CarPlay-equipped third-party stereo installed professionally. But you don’t have to do that. Bluetooth can be added for pennies these days. Here’s how. For a 12-year-old sedan, things looked grim. It had an AM/FM receiver, a tape deck, and a CD player, but no way to receive input from an iPhone – no Bluetooth support, certainly, and no auxiliary input either. The days of having an FM transmitter module plugged into the iPhone are long behind us. What to do? 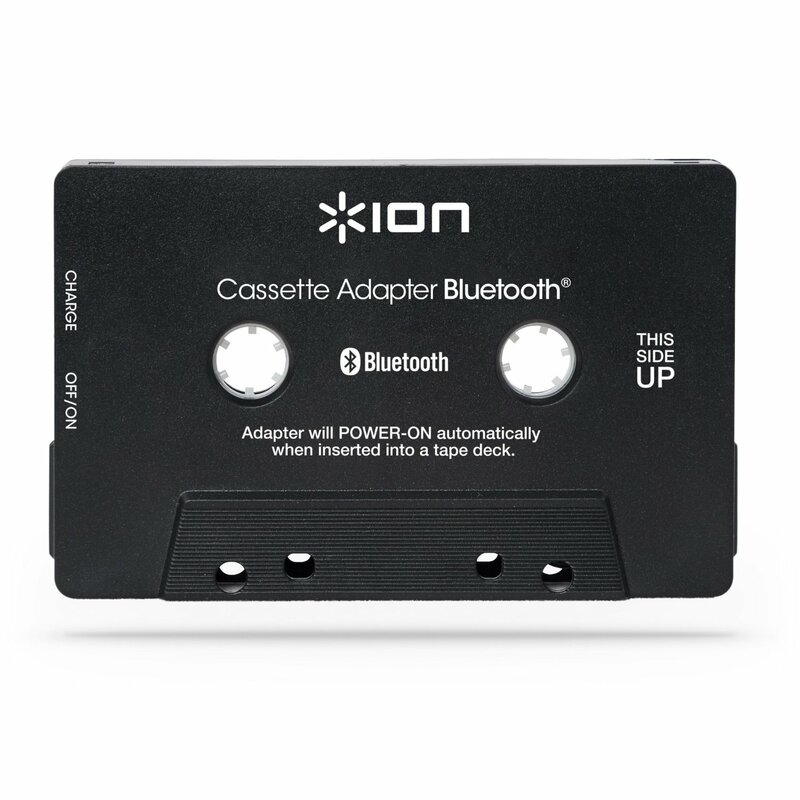 That’s when I learned of Ion’s Bluetooth Cassette Adapter, a $20.99 device that does the job just fine. It’s a Bluetooth receiver that pairs with your iPhone, but it fits in the tape deck and the stereo thinks it’s a tape: audio is piped through the tape input. The device has a built-in battery that lasts for 4-5 hours at a stretch and can be recharged using a micro USB cable (included). It also has a nifty built-in microphone if you need it. Sound quality is fine – it’s Bluetooth, and all that goes with that, but you’re in the car, so you’re dealing with wind, road noise, engine noise and all other manner of distraction, so I don’t think you can really get into a meaningful discussion of audiophile quality for a $20 adapter. Syncing is painless. As near as I can tell, though, there’s no multi-device syncing, so in order to pair it with a second iPhone (say, switching from driver to passenger) you need to disconnect the first iPhone using its Bluetooth setting, if it’s still in range. It works as advertised and does exactly what I needed it to do. So if you’re still driving a car or truck with a tape deck, you may be in luck with a cheap Bluetooth fix.